Plans are underway for an open-air concert venue at The Star Gold Coast that will deliver a stunning new entertainment offering capable of attracting frontline local and overseas music acts. world. 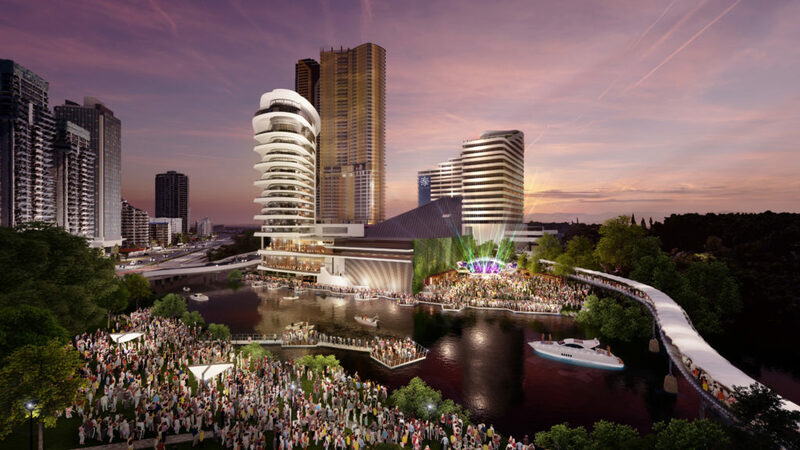 An outdoor venue that can stage concerts of small and large scale would drive great cut-through and further enhance the Gold Coast as a music destination. Their plans include curating a calendar of events, from full-scale concerts by world-class bands and performers to family-friendly picnic events like Carols at Christmas, to smaller more intimate offerings like string quartets. A major part of this plan is to activate and further bring to life Gold Coast Bulletin Centenary Park, just across the canal from The Star Gold Coast. The positioning of the stage on the property will enable people in the park to be close to the action, have a great view and be part of the overall atmosphere.